Sea trout and landlocked salmon 60 cm. 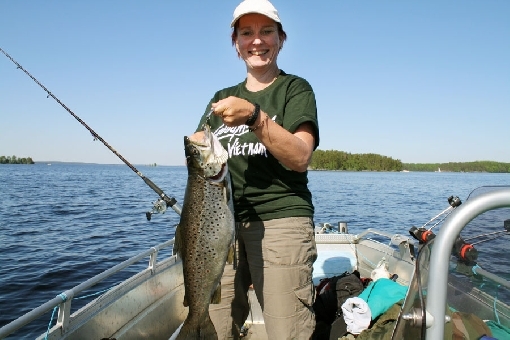 Brown trout 60 cm, however in the waters north of 67.00º north latitude the minimum size is of brown trout is 50 cm. Grayling 35 cm, however in the waters north of 67.00º north latitude the minimum size is of grayling is 30 cm. Arctic char, also known as "Saimaa arctic char" is totally protected. That means fishing for char is prohibited in the whole water system of Lake Saimaa (Vuoksen vesistöalue).